We list flat fee listings in Ontario. 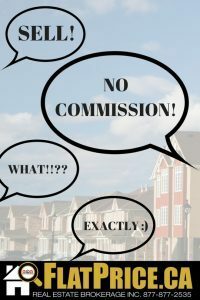 Pay no commission and just pay a small posting fee. Your listing will be posted on REALTOR.ca and syndicated to hundreds of other websites. NOTE: If your property has been on the market for 6 or more weeks, it may be time to try refreshing your listing. We RE-LIST it FREE! -Comparable Market Analysis by Agent. -HD Photos taken by Agent. -Offer outline strategy by Agent. -Multiple offer listing approach with "Seller's Direction Form" included in listing. Our agents will manage your complete offer situation from start to end. * $75 per additional offer to handle multiple offers paid on closing. *Package available in select areas of Ontario. Please ask us about your location before purchase.